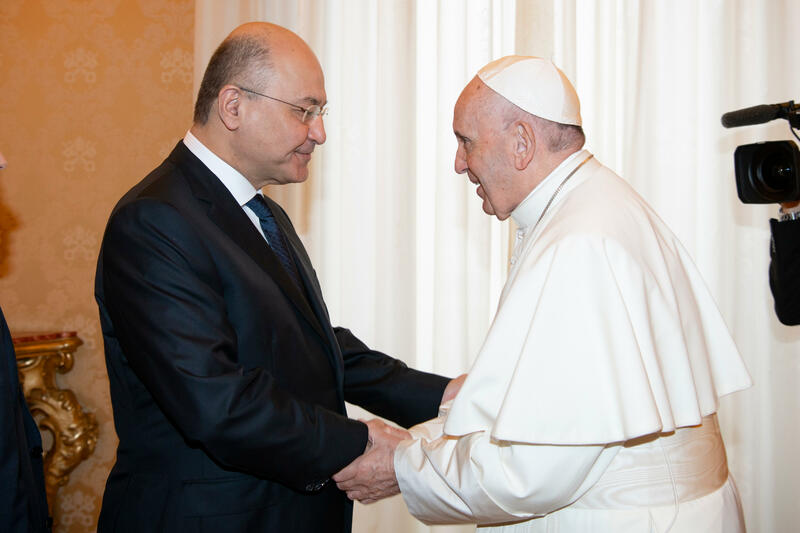 Pope Francis on November 24, 2018, received Barham Salih, president of the Republic of Iraq, who subsequently met with Cardinal Secretary of State Pietro Parolin, accompanied Archbishop Paul Richard Gallagher, Secretary for Relations with States. During the discussions described as “cordial” by the Vatican, the good relations between the Holy See and Iraq and the positive developments of the political situation were evoked, highlighting the importance of joint efforts, with the support of the international community, to face the challenges of the reconciliation process to promote national unity. In this context, emphasis was placed on the historic presence of Christians in the country, of which they are an integral part, the significant contribution they make to the reconstruction of the social fabric, and the importance of ensuring that those who have been compelled to abandon their own lands of origin are able to return there, highlighting the need to guarantee their safety and a place in the future of Iraq. Finally, attention turned to the various conflicts and grave humanitarian crises that afflict the Region, underlining the need for dialogue between the various ethnic and religious groups to reestablish trust and peaceful co-existence.